As parents, there's nothing more sacred to us than our children. We do whatever it takes to provide them with the best opportunities in life. One of those opportunities is a sound, balanced education. Parents consider private school for their children for a wide range of reasons. According to a recent survey conducted by CAIS (Canadian Accredited Independent Schools), some of these reasons include: a desire to develop strong character, morals and values; to prepare for post-secondary education; to offer a well-rounded education; and to develop a lifelong love of learning. At The Country Day School, we are confident that we achieve all of the above in our program offerings for students in JK through Grade 12 (Junior, Middle and Senior Schools). We refer to this as education with balance. As you explore the plethora of choices available, keep in mind that choosing a school is a very personal decision that ultimately comes down to which school feels right for your child. It could be a pair of track shoes, a theatrical costume, or maybe even a robotics set. If your child has a passion for something, we will harness it and take it to a whole new level. If they have yet to find it, we will help them explore all the possibilities. 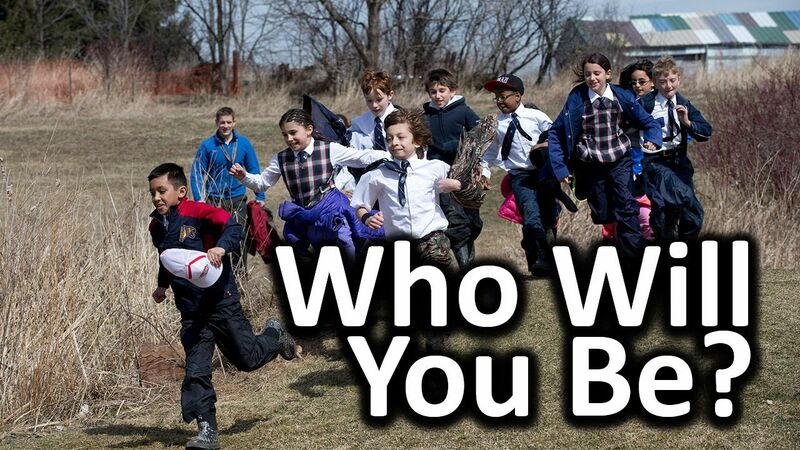 Watch our video below to discover big, dreamy answers to the question, Who Will You Be? "CDS opened so many doors for me and allowed me to become the person I always wanted to be. It has been the perfect match for me." "CDS offered me the ability to dedicate myself to all of my interests, in addition to academics, and allowed me to travel the world through the Debate Club." "The community at CDS is really tight knit and close. The relationship between teachers and students really adds to the strength of this community." "The teachers have instilled such good values in me. I’ve developed great relationships with so many of them over the years and will always have these memories." "The teachers really encourage you to become involved in extra-curriculars because you develop your knowledge inside the classroom, but your character outside of it." "The thing I’m going to miss most about CDS are all the opportunities it gave me. I loved being part of sports and Student Council my final year … it provided such a sense of balance in my life."